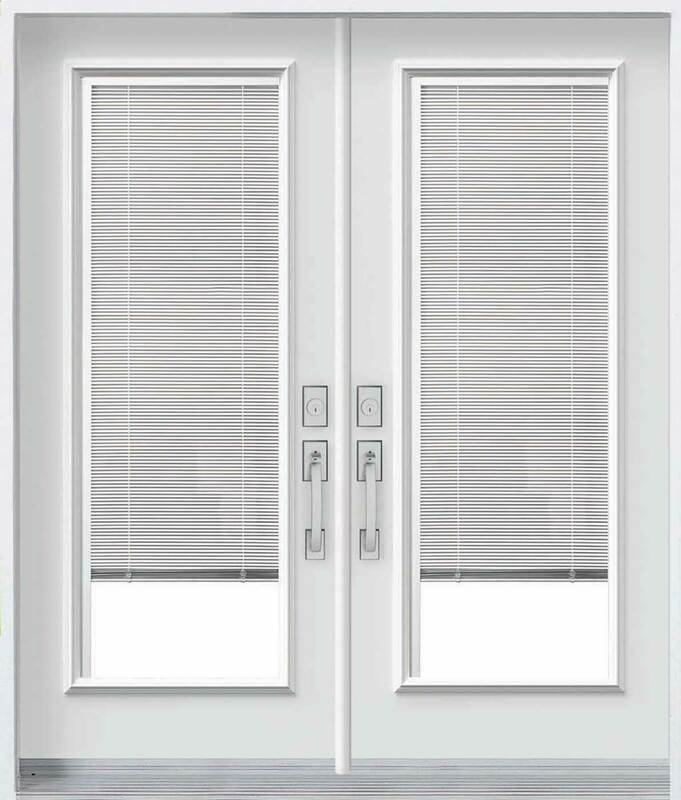 Double doors, Deckmate doors, and Terrace doors can all be completed in the clear glass, 15-lite French doors, and the raise-and-lower mini-blinds shown below, as well as a virtually unlimited selection of other vented and decorative lite kits. Ask your building supply or windows and doors dealer for details! 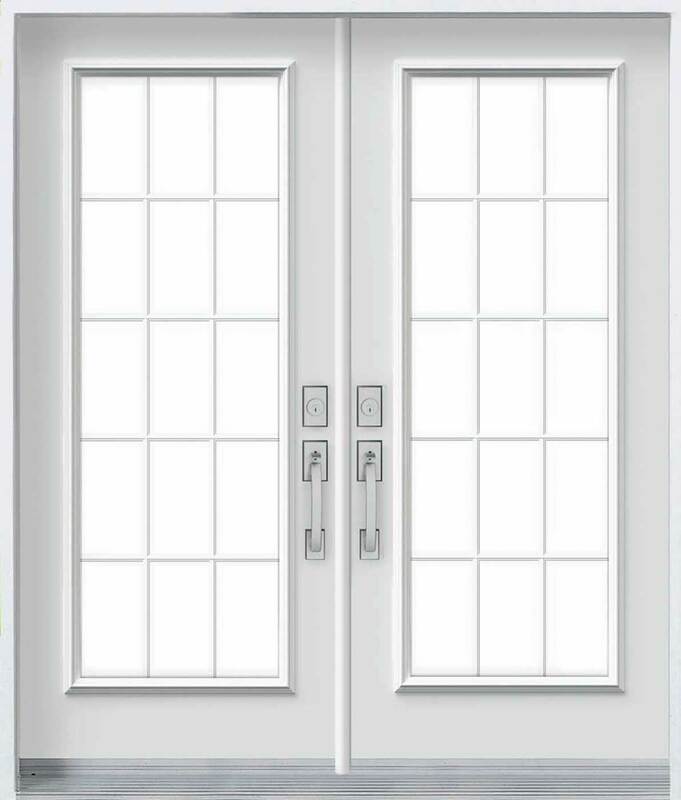 If your standard double doors have only one door operable, you can choose from four types of door swing. Double doors can either have both doors operable or have one operating and one fixed. If both can open they require a center post. A permanent post provides best weather resistance and will remain in place even when both doors are open. An astragal post is attached to one of the doors and opens and closes with that door, providing easy access but less resistance to extreme weather. Deckmate or “garden” doors have one door that swings in. You can choose from a left or right door swing. With our Deckmate doors, one door swings in while the other is fixed. A screen can slide across the outside to cover the opening when you want ventilation while keeping pests out. Deckmate doors are a popular alternative to sliding patio doors. Ask your local window and door dealer for more information about Kento’s double doors. Terrace doors have one door that swings out while the other operates similar to a casement window. You can choose from a left or right door swing. Kento’s terrace doors provide two different ways to allow ventilation into your home. One door swings out to permit easy entry and exit. The other door though operates somewhat similar to a casement window, able to be opened slightly to provide ventilation and with an internal screen in place.